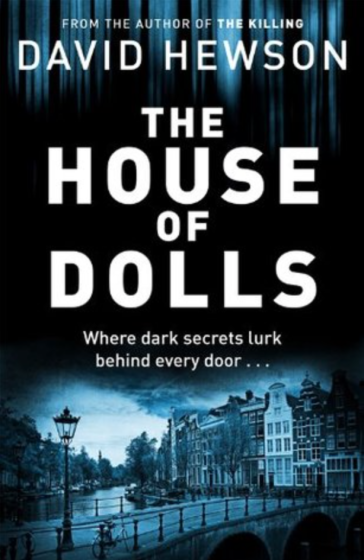 British author David Hewson is better known for writing two novels based on the hit Danish television show, The Killing, but this time, he’s in Amsterdam, with his new novel, The House of Dolls, which will be part of a series. The book follows a retired police detective who is brought back to work after the purported kidnapping of a young woman under circumstances similar to those of his own daughters three years before. Like Hewson’s other work, The House of Dolls is a dark thriller that follows the flow of the city it’s set in. The protagonist, Pieter Vos, is pulled back into the underworld of Amsterdam’s organised crime in the hope that he can offer some insight into the possible kidnapping of Katja Prins, the daughter of a local politician. He’s partnered with Laura Bakker, a junior detective whose Frisian accent and small-town upbringing don’t mesh with the hardened Amsterdam police force. Vos agrees to help the case, in the hopes that solving it will lead him to his own missing daughter. The novel vividly describes Amsterdam, both in appearance and in feel and it’s easy to get lost in the city’s seedy underworld. In all, a great holiday read.